(basic gravy masala that I have posted before) and tossed green peas and paneer into it, and within 15 minutes it's ready to eat. Let's give it a try! Each Serving Contains 197.33 Kcal. 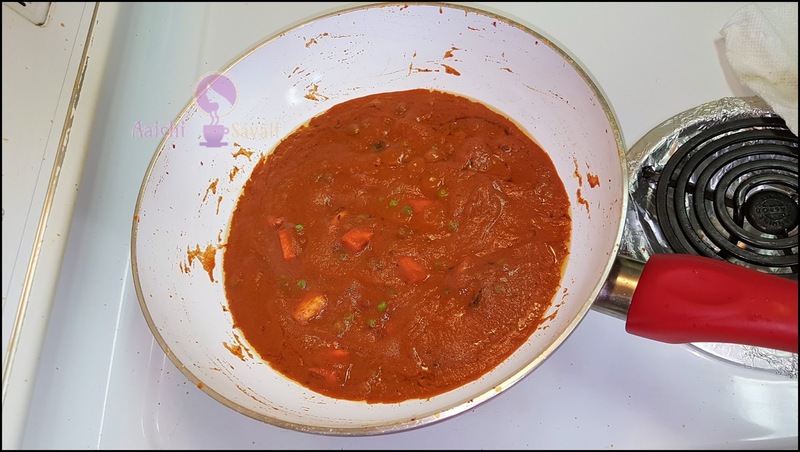 Turn on a flame and place a kadhai, in a kadhai add butter, once butter get hot add cumin seeds, cloves, cinnamon and bay leaf. 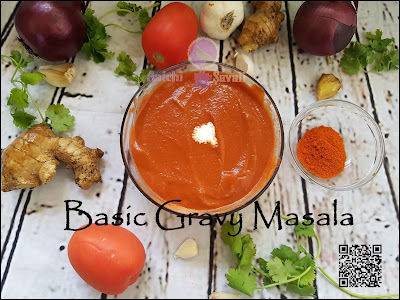 basic gravy masala (blended onion - tomato paste and red chilli powder) and additionally add some water and paneer masala (I have added coriander powder, cumin powder, salt, turmeric powder and garam masala in basic gravy masala) and cover and cook for 4 to 5 minutes. Furthermore, add peas (you can microwave it for 2 minutes) and paneer cubes. Mix all well and cook for 5 minutes, now, add milk cream and coriander leaves. 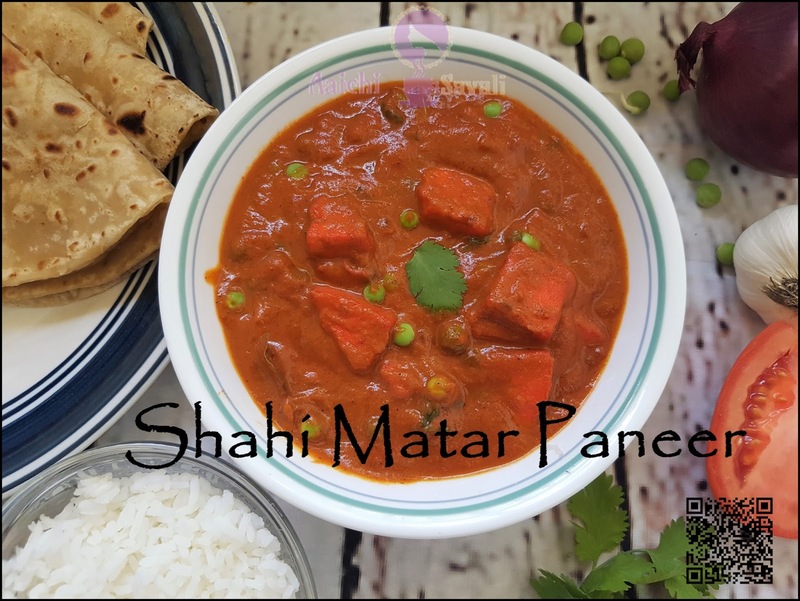 Here, creamy, delicious and healthy Matar-Paneer ready to serve, serve hot with roti, chapati, rice. Enjoy!!! 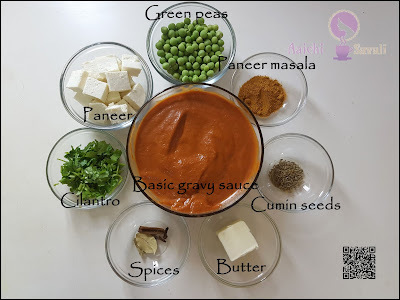 If you want to make it vegan just vegan just replace paneer by adding tofu, to get creamy texture add coconut milk instead of milk cream and butter by veg oil. Calorie Count Based on a 2000 calorie diet. Per serving contains 197.33 calories, along with carbohydrates - 16.77 g, Dietary Fibers - 4.7 g, fats - 12.38 g, proteins - 10.5 g, Vit.A - 45 %, Vit.B6 - 10 %, Vit.C - 39.33 %, Iron - 11 %, Calcium - 7 %. Peas are low in fat but in high every nutrients, lots of protein, fiber and micronutrients. Peas helps to prevention of Alzheimer’s, arthritis, bronchitis, osteoporosis and candida. It has anti aging properties, helps to prevent wrinkles, makes skin Healthy. Boost immune system - They are rich sources of many minerals such as iron, calcium, zinc, copper, manganese etc. which enhances the immune system of your body. Diabetes - High fiber and protein content in peas makes sugar digestion slower. Digestion - The high dietary fiber content of peas makes them a good digestion aid. The fiber also improves the metabolism of the body in general by improving digestion. It is good to eat shahi matar paneer masala for lunch or for brunch. 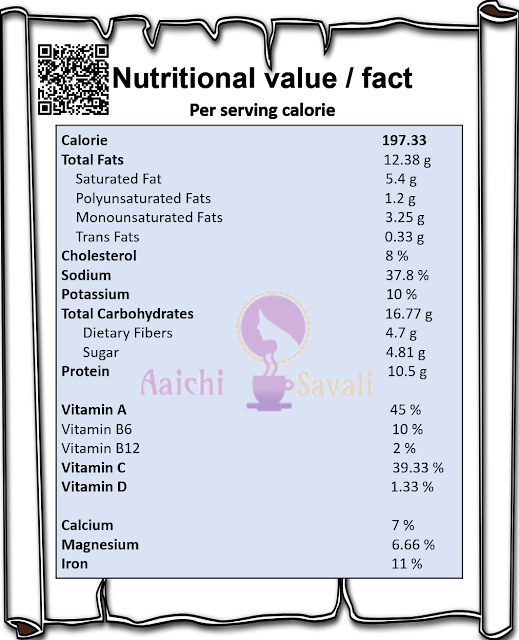 Good to know that you take Sattvik food, as Sattvik foods are important to maintain the balance of a healthy mind and body and it also gives necessary energy to the body without taxing it.